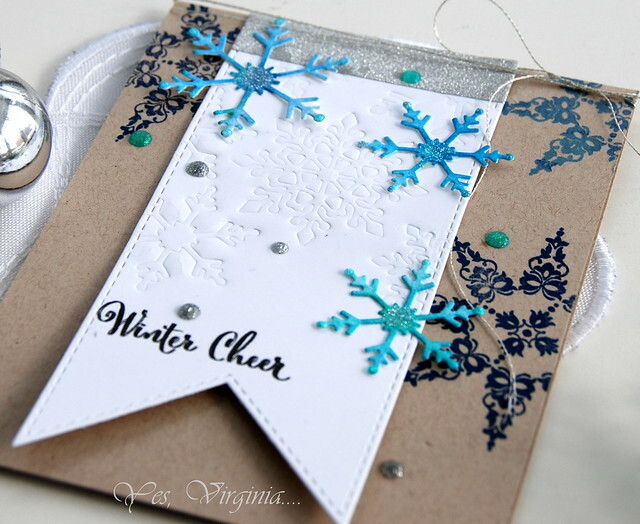 Yes, Virginia...: Create Textures with Dies! Today's post is another reminder to use your existing dies to add TEXTURES! When I started in stamping just over 20 years ago, I fell in love with all things with stamps. However, it was not until 2009 that I "discovered" dry-embossing! This year, I fully embrace using dies with Tan Embossing Mat! It's such a simple thing to do and it adds that lovely textures that you easily create. The only stamping I did was just the sentiment and background. This design is kind of eclectic, but I think I like it! The new Simon Says Stamp supplies can be found here. 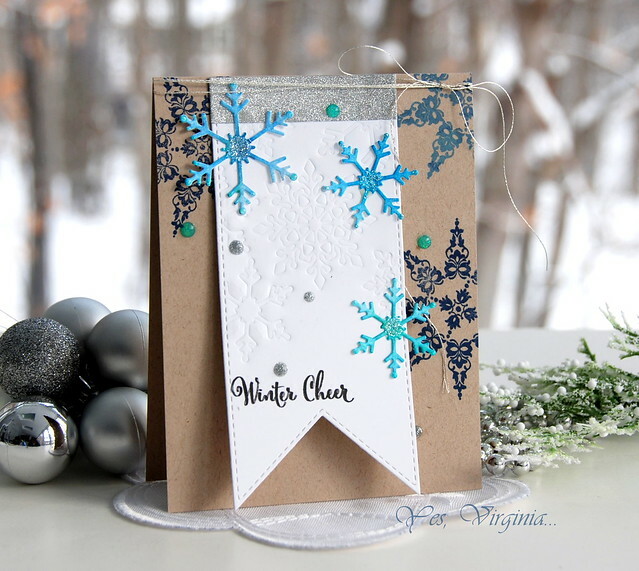 What a beautiful and festive card, Virginia! I love to stretch my die sets using them to emboss :) Super fun dry-embossed backgrounds for sure! This is so beautiful Virginia, I love it! Virginia, your card is "die"vine, gf! I don't do this technique enough...thanks for the inspiration! Hope your Holidays are joyous, my friend! Marvelous!!! 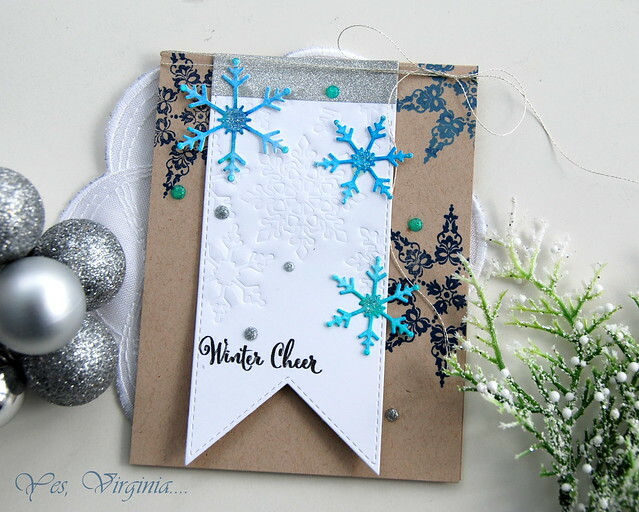 The texture of the embossing is excellent, the floating snow flakes simply lovely. I like this card very much. The composition is balanced, colors are wonderful. So pretty Virginia. Very cleverly done. What can I say? Your new card is such a loud and clear statement that you love colour! It's also fun to see how you've used colour in different ways in your top 10 favourite Altenew cards of this year. Thanks for indicating the techniques below each thumbnail. A perfect starting point for us to revisit your posts and get a refresher on all of these techiques.